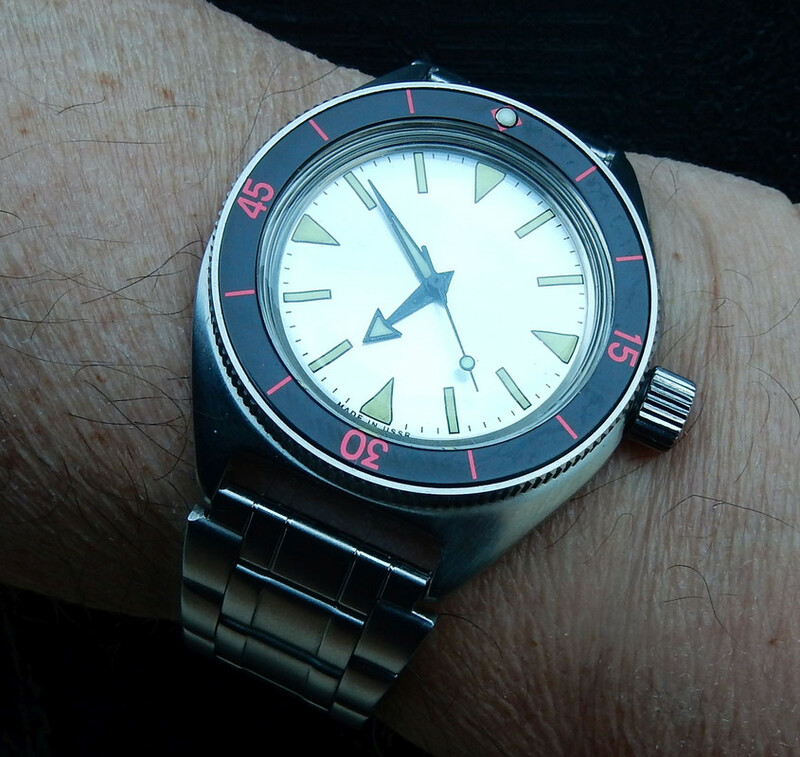 Vostok Amphibian “Tereshkova” for Den Kosmonavtiki ! 24h, fargelios, MERCENARY and 15 others like this. So April 12th is Valentina’s day? stevarad, NOTSHARP and joecool like this. willjackson, RedFroggy, Abuyan and 14 others like this. 24h, vrforma, Abuyan and 13 others like this. DJW GB, RedFroggy, SeikoAutomatic_01 and 7 others like this. stevarad, Avidfan, SeikoAutomatic_01 and 9 others like this. This one is choice of my oldest of three, 6 year old daughter. It is something like weekend ritual.."Ok, help Daddy to choose watch to wear today". She picked this one for today. "Daddy you must wear this one, this one is royalllll.."
What do you think, did she make good choice? DJW GB, Avidfan, SeikoAutomatic_01 and 10 others like this. SeikoAutomatic_01, joecool, RedFroggy and 7 others like this.